We present a number of techniques that can be used to mine geo-referenced and crowd-generated data in the urban context. Using a mixture of methods from data mining, urban informatics, and computational social science, we show how it is possible to capture intangible properties of cities, thus complementing the idea of an efficient and predictable smart city. We showcase how this ensemble of techniques has been used to estimate the beauty, smell, sound, walkability, and cultural capital of neighborhoods. Luca Maria Aiello is a Senior Research Scientist in the Social Dynamics team at Nokia Bell Labs Cambridge, UK and Research Fellow of the ISI Foundation in Torino, Italy. Formerly, he has been a Research Scientist at Yahoo Labs for almost 5 years. 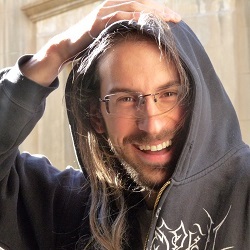 He conducts interdisciplinary research in network science, computational social science, and urban informatics. His work has been covered by hundreds of news articles published by news outlets worldwide including Wired, WSJ, and BBC. He is a founding member of GoodCityLife.org, a global network of scientist with the goal of giving a good life to city dwellers.